Toronto may not be home Medieval cathedrals or ancient castles, but there’s still plenty of history to be discovered. We took a look at some of the oldest structures standing today to see which buildings have had the longest lives. The list is organized by building use and you’ll find the oldest standing church, school and much more. 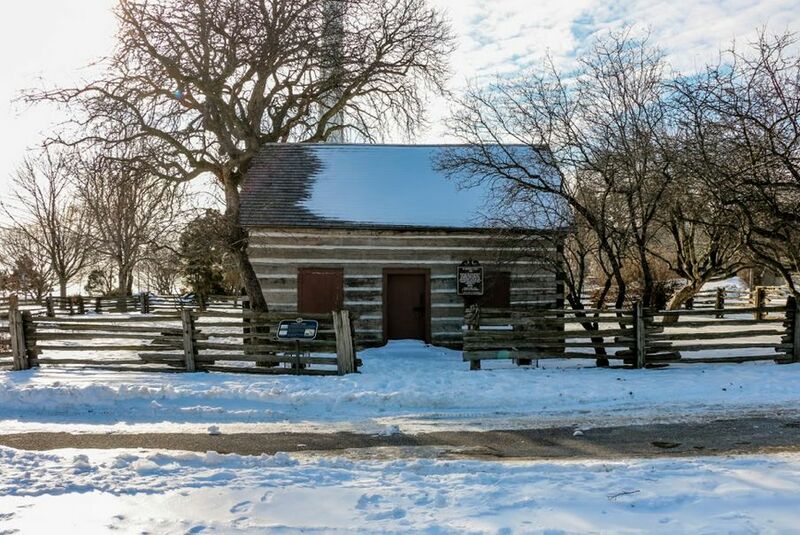 Background: Located on the CNE grounds (right below the giant windmill), Scadding Cabin is a square-timbered log house that originally belonged to John Scadding, an assistant to John Graves Simcoe, Upper Canada’s first Lieutenant Governor. The home was first built on a 250-acre property on the east bank of the Don River near where Queen Street East crosses the Don Valley Parkway today. The historic site was moved to its current location in 1879. Background: The Enoch Turner Schoolhouse is the oldest school still standing in the city. The one-room school was also the first free school in Toronto and was built by the industrialist and philanthropist Enoch Turner, a local brewer who wanted to educate the children in the neighbourhood around his brewery. 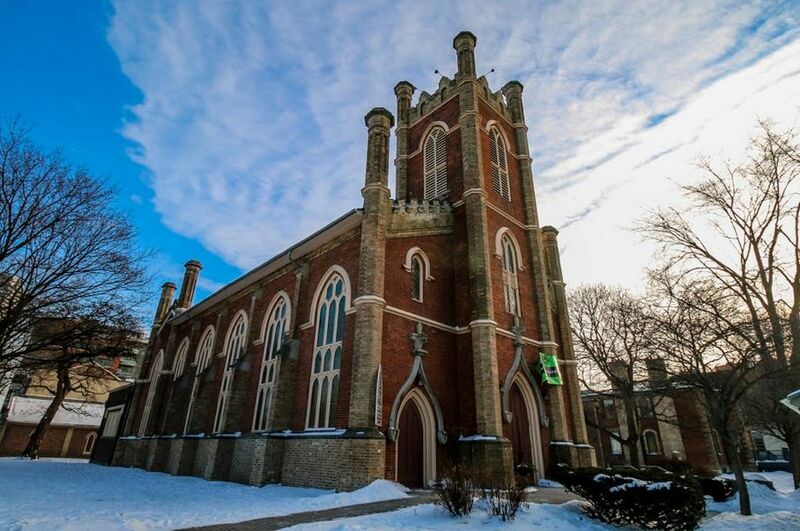 According to Ontario Heritage Trust, the land was donated from Little Trinity Church next door and opened in 1849 to 240 students. In 1869, the West Hall was added to the structure. The schoolhouse was nearly demolished in the late 1960s but was saved from the wrecking ball thanks to history advocates and neighbourhood activists. Today, the building is a public museum and an event space. Background: American steel baron Andrew Carnegie was known as the richest man in the world in the early 1900s. He devoted his retirement years to philanthropy and donated money across North America for the building of public institutions like universities and libraries. 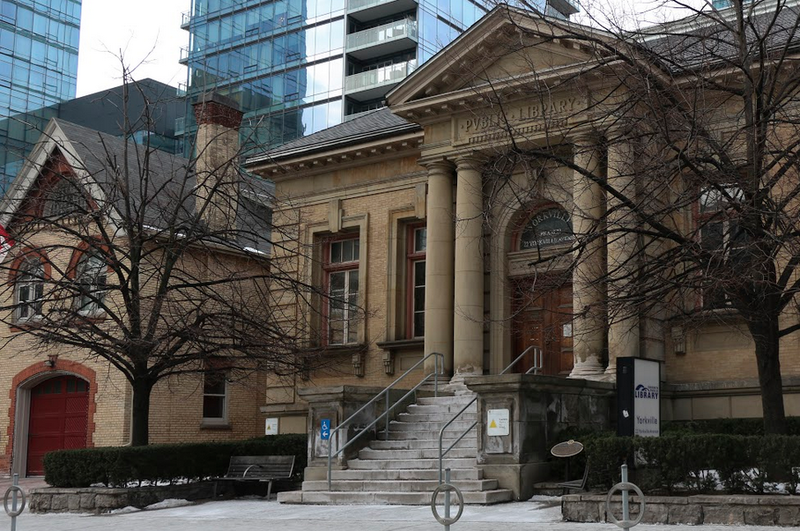 In 1903, Carnegie pledged to give $350,000 to the Toronto Public Library to construct four new library buildings. The first to be built was the Yorkville Public Library in 1907. The building still stands and remains in use as a library today. By 1919, more Carnegie money led to ten new public libraries built across Toronto. Background: The Neoclassical stone structure known as the Bank of Upper Canada was the first chartered bank in the province and helped ground Toronto as the commercial centre of the colony. According to the plaque, the building’s design reflects “the image of conservative opulence favoured by financial institutions of the time.” The bank failed in the 1860s and the building became part of De La Salle College before the school decamped for its current Moore Park location. In 1977, the Government of Canada recognized the building as a National Historic Site. Background: Next door to the oldest bank building in the city is Toronto’s oldest post office. James Scott Howard, the postmaster of York, built the structure which acted both as his place of work and family home. 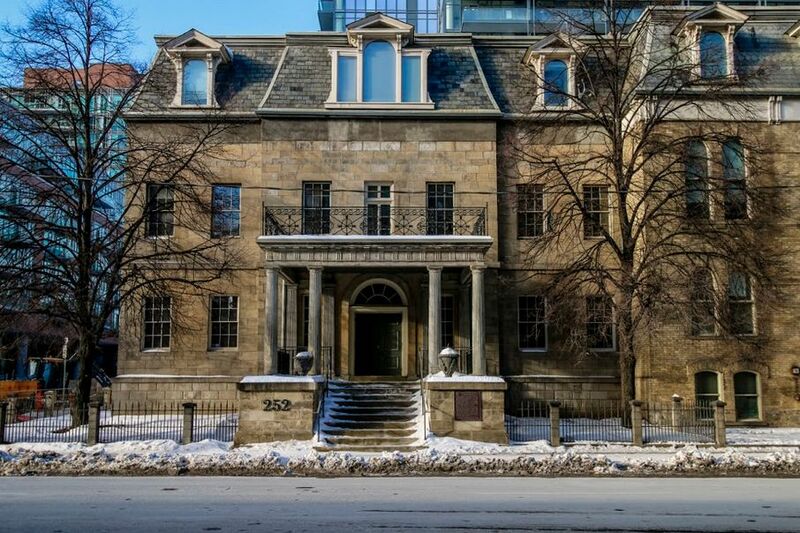 Thanks to its location by the bank, this corner of Toronto became a financial and communications hub for the city, which then had only 9,000 residents. As one of the earliest surviving examples of a building designed specifically for use as a post office in Canada, the Georgian building was designated as National Historic Site of Canada and operates as a museum today. Background: The first Anglican Bishop of Toronto, John Strachan, helped establish Little Trinity Anglican Church with prominent citizens such as Enoch Turner, James Worts and William Gooderham raising funds. The bricks are made of clay from the Don Valley and local workers donated their labour, helping build the early Gothic revival structure. 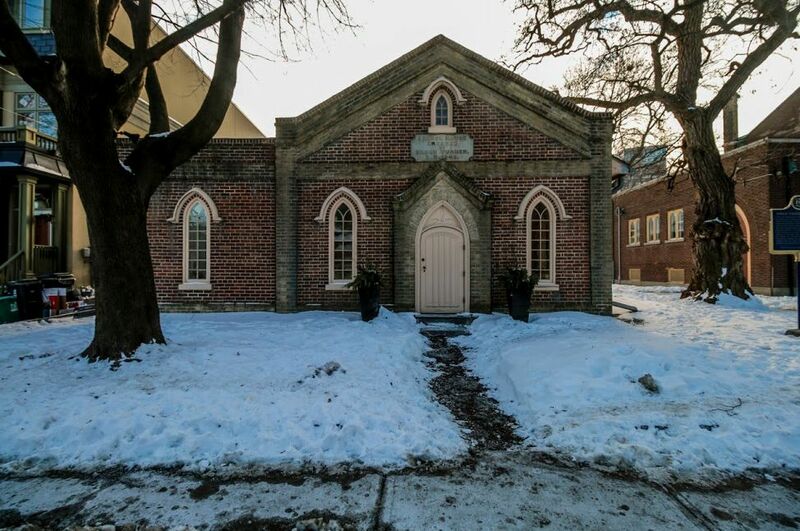 It became known as the “The Poor Man’s Church” since its congregation was largely made up of workers at the nearby Gooderham and Worts Distillery. 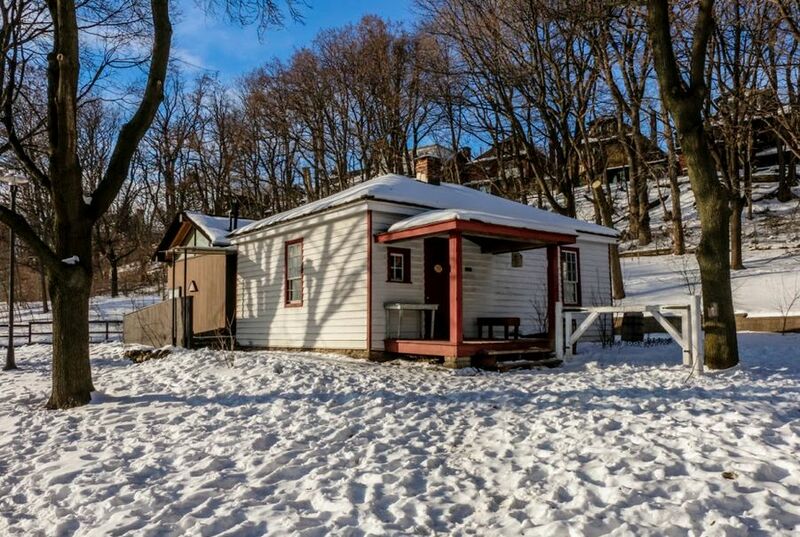 Background: There were 13 blockhouses constructed in the Toronto area between 1793 and 1838, but only Blockhouse #1 and Blockhouse #2 remain standing today. The blockhouses were built by British troops during the War of 1812 at Fort York, Canada’s largest collection of original British army buildings from the war. These two blockhouses were built to house soldiers and were the first structures to be built at the fort during the war. 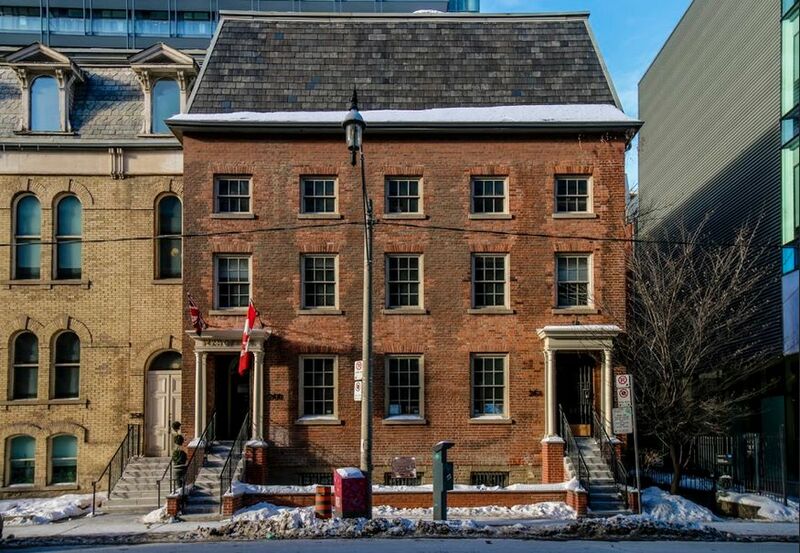 According to historic plaques, the buildings were used for storage, emergency housing for immigrants in the 1820s, hospitals during a cholera epidemic in the 1830s and drill sheds for the militia after 1867. Year: Unknown. Estimates put it between the 1820s and 1830s. Background: Thought to be the only surviving tollgate from the 1800s in Canada, the toll keeper’s cottage is also known as Tollgate #3. It dates back to a time when toll booths were common among major thoroughfares such as King, Yonge and Dundas. According to the historic site devoted to the cottage, the little building housed the tollkeeper and his family and has construction features from the 1820s and 1840s, though the road toll on was in operation in at least 1850. Davenport Road was based off an extended Aboriginal trail and has been dubbed “Ontario’s oldest road,” used by fur traders and appearing on regional maps as long ago as the late 1700s. In the early 1800s there were five tollgates between the Humber and Don Rivers along Davenport. 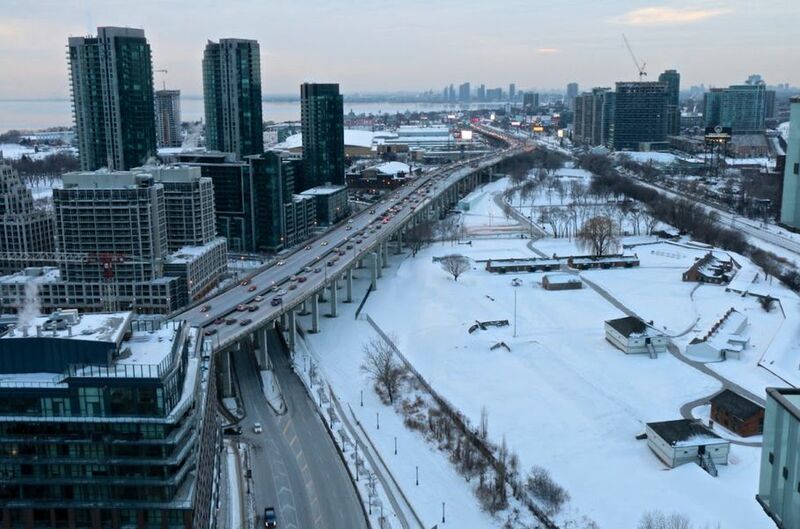 Tolls on Toronto roads were abolished in 1895. 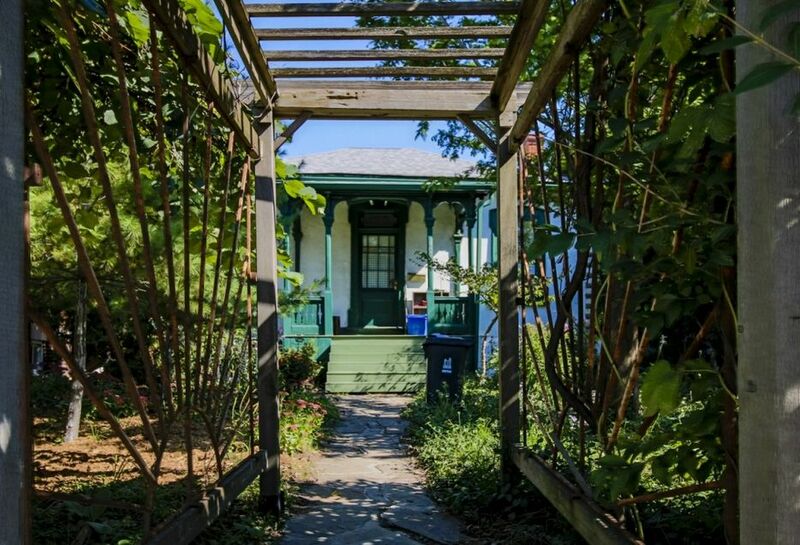 Background: Known as the John Cox Cottage, the Riverdale home is believed to be the oldest continuously occupied home in the city. Like Scadding Cabin, the structure was built from square-cut logs. In the 19th century, an addition was made to the north side of the house, transforming it into a Regency-style cottage and obscuring its cabin roots. According to City News, a more recent owner was renovating the bathroom when he discovered the exposed log wall, unearthing the long lost history of the home. The original attic and cedar roof survived the renos and can be seen from inside the house.